ground with tooled ashlar cope and rusticated quoins. ashlar pedimented memorial in centre of N wall. of arms in centre and 3 memorial plaques below. 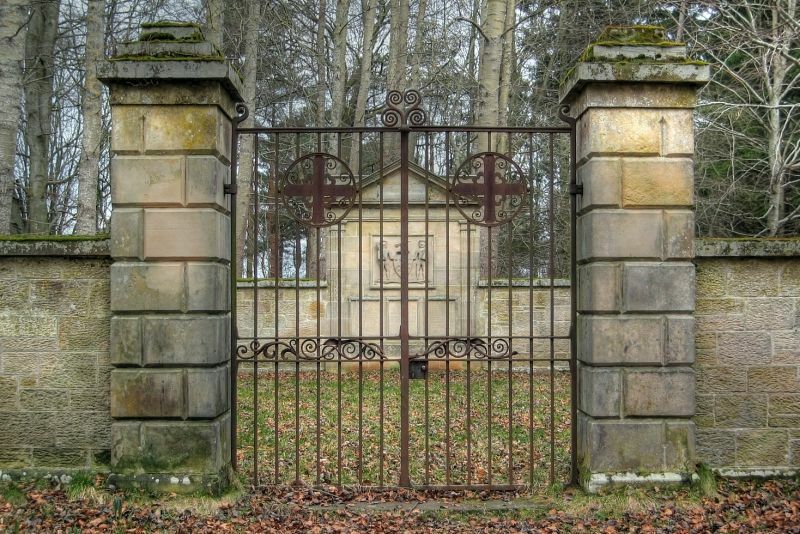 simple stepped caps; pair cast and wrought-iron gates. faces mark burial places of various members of Brodie family. Hugh's sons, Alistair (d.1899) and Douglas (d.1916).